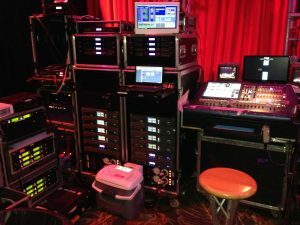 Na Hoku Hanohano Awards – Custom Audio, Inc. Custom Audio, Inc. was proud to be involved as the audio provider for the Na Hoku Hanohano Awards for many years. The show consisted of 2 stages, 3 consoles, over 30 speakers, and multiple sets of backline.